A salvage company from the Netherlands will be working today to assess the damage, and salvage the vessel that ran aground near Rose Blance over the weekend. VOCM's Erin Eaton reports. 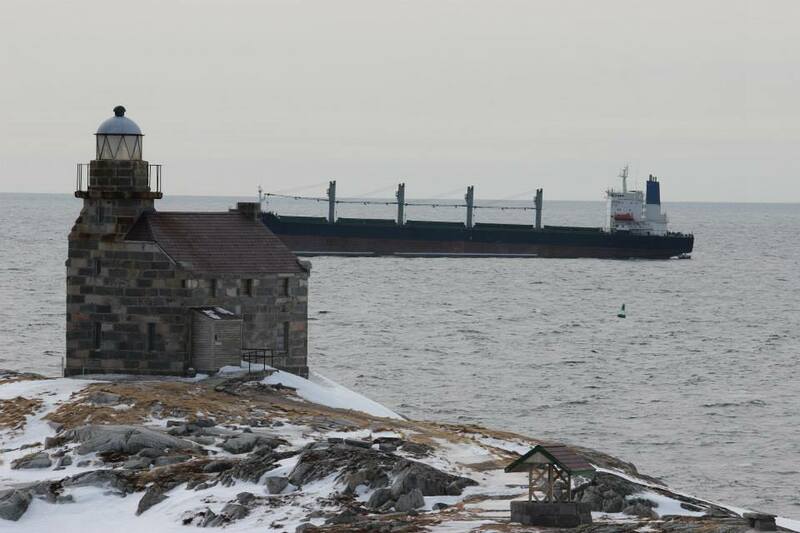 The John 1 is currently anchored about 1.5 km off Rose Blanche, after the ship lost engine power Friday. The Canadian Coast Guard had attempted to intercept the vessel, but were unable to do so. A Cormorant helicopter was dispatched from Gander and removed all 23 people aboard the John 1, and transported them to Burgeo. The ship, which is about 600 feet long, had no cargo - just ballast water and fuel. The salvage company from the Netherlands has joined the Nova Scotia tug Ryan Leet and the Coast Guard ship Earl Grey. The Coast Guard says a liaison officer is in the community to answer questions from residents, and the environmental response plan is in place. Included in the equipment to be used is an offshore sweep system which is capable of responding to any release of pollutants. A surveillance flight on the weekend did not see any evidence of pollution. The Transportation Safety Board will be investigating in incident. The MHA for the area where the ship John One ran aground is concerned about the way the events unfolded. No notifications were sent out of a ship in distress until the carrier actually ran aground off Rose Blanche Saturday afternoon, even though it had lost engine power on Friday. Liberal Andrew Parsons says he has lots of questions. It was quite the surprise for Wilfred Parsons and his wife Wanda Saturday afternoon when the Cormorant used to evacuate the grounded ship in Rose Blanche landed in their backyard. The couple then did what so many from this province are noted for - they opened up their doors to the 23 crew who were on board the John One. They were from Syria and spoke very little English. Wilfred says they gave them light beverages and snacks but what they liked most were cinnamon rolls. They stayed for about 45 minutes before the chopper transported them to Burgeo. He says the Cormorant chose his place as they have a large backyard. Wilfred and Wanda Parsons are used to people dropping in for tea or coffee. However Saturday was the first time the Rose Blanche residents had those people literally drop from the sky. A Cormorant Search and Rescue helicopter landed in their backyard around 3:30 Saturday afternoon, and a technician knocked on their door, asking if they could keep a dozen men out of the cold for a little while. The Search and Rescue technicians decided to take the twenty-three crew members off the John I in two shifts before transporting them all to the Coast Guard station in Burgeo. The Parsons had the pleasure of hosting the first half to be rescued for about 45 minutes. ³The guy asked if they could come in for a little bit while they went back for the other crew,² said Wilfred. Wanda said the men were mostly quiet and only one spoke broken English. He seemed to suggest they were from Syria. The ship had been bound for Montreal when they ran into trouble. The men told Wanda they had been afraid since the previous night, and when they evacuated the ship there was water in the engine room. The ship had been drifting dangerously close to shoals just outside Rose Blanche, and it now seems to be aground. While Wanda served the men tea, coffee and pop, her neighbor Bernice Hatcher stopped in to offer some fresh cinnamon rolls. One of the men asked Hatcher for the recipe. Before long the helicopter landed again in the Parsons¹ backyard, and the guests climbed back aboard, with dozens of citizens watching the excitement from the sidelines. People in the community are concerned about what will happen with the ship. It is now aground just a kilometer or less from the community¹s iconic granite lighthouse, which was built in the 1870s to warn mariners about the dangerous shoals off the coast. A Cormorant from 103 Squadron in Gander rescued 23 crew members from the John I, which is anchored but without power off Rose Blanche. About half the crew was brought ashore and invited into a local home for tea, coffee and sweets while the other half of the crew was retrieved from the ship. The Cormorant helicopter then left with the entire crew. Locals were not sure exactly where the helicopter was headed. One crew member said the sailors were from Syria. They were on their way to Montreal from Africa. The ship is just meters from a large shoal, according to residents, and they are concerned about what an impending storm could do to the vessel. Local resident Mary Hardy posted this photo on her facebook page. She and her husband have been listening to the crew speaking with the coast guard via VHF radio. Hardy said the ship had to drop anchor, and is dangerously close to shoals. A coast guard ship, The Earl Grey, is also nearby.